Woolly Hat Fair 2016- How did the partridge get into the pear tree? Band 3 were recently approached by the organisers of the Winter Hat Fair to take part in a special project. This year’s event is based on the poem The Twelve Days of Christmas and 12 events will take place across the city during December. 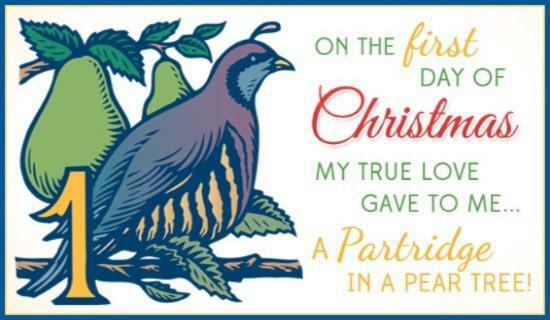 Band 3 children were asked to write poems on the theme of how the partridge got into the pear tree. A selection of the poems submitted would then be performed as part of the opening event. We were very pleased to find out that 12 of the poems submitted by St Bede pupils, were shortlisted for the opening event. The final selections were read alongside an art installation of pear trees (created by Winchester School of Art) and poems from professional poets. The poems written by the Band 3 children were performed by the Live Cannon Poetry Ensemble on Saturday 3rd September at Winchester School of Art Gallery. A big well done to the following children for being shortlisted: Amelia, Alexander, Jemima, Matthew, Skye, and Joe from Year 6 and Daisy, Emma, Mikey, Veronica, Caitlin and Max from Year 5. A further congratulations to: Jemima, Skye, Amelia, Daisy, Emma and Alexander for having their poems performed as part of the opening event.